Jiuzhaigou, literally means “Nine Villages Valley”, which is named after the nine Tibetan villages in the area. Jiuzhaigou County(previously known as Nanping County), it is about 540 kilometers away from Chengdu city and needs 8-10 hours’ drive due to the tortuous mountain roads. 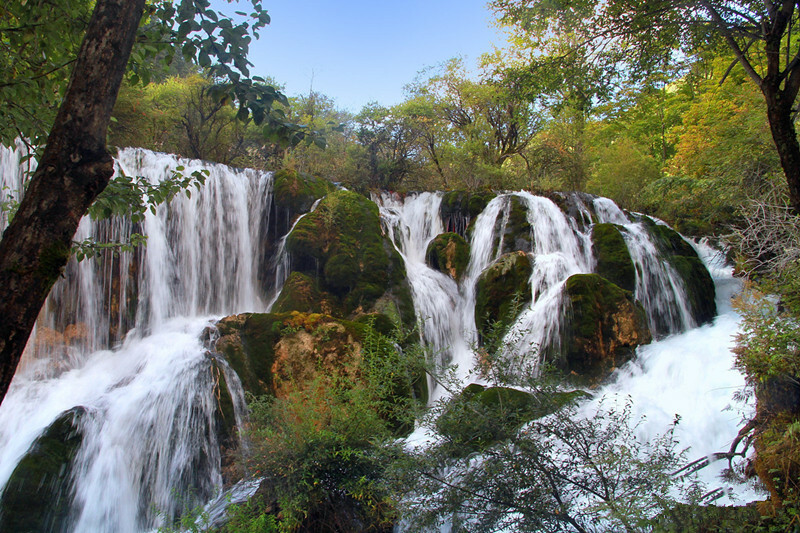 In the year of 1992, Jiuzhaigou was dubbed as the World Nature Heritage Site. It fully captures the truth of Jiuzhaigou that there is need to see any other waterscapes after visiting Jiuzhaigou. Indeed, water is the soul of Jiuzhaigou and it is the most beautiful waterscape in China. This multicolored land is made up of 108 “Haizi”, including springs, waterfalls, lakes and benchlands, a combination of flying and serenity, with a visibility up to 20 meters. 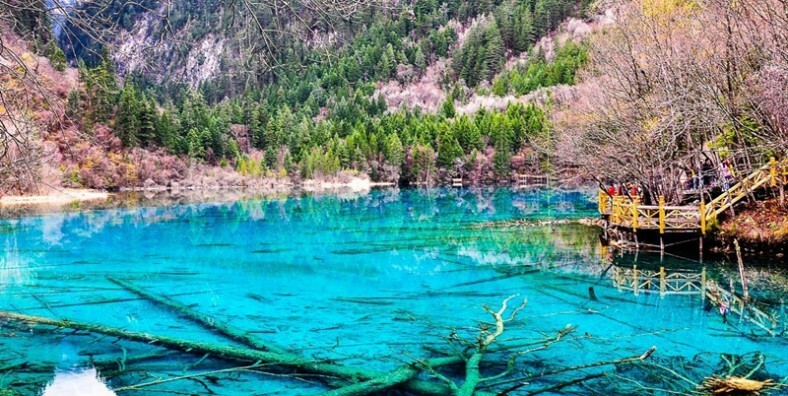 There are “six unique” in Jiuzhaigou, namely emerald lakes, multi-level waterfalls, colorful forest, snow-capped peaks, Tibetan customs and blue ice. Therefore, it is a good chance to experience the unique Tibetan culture in the ancient Tibetan villages. In different places, Jiuzhaigou can be found with different charming scenery, which is a magical dream-like world that Chinese and foreign tourists yearn for. 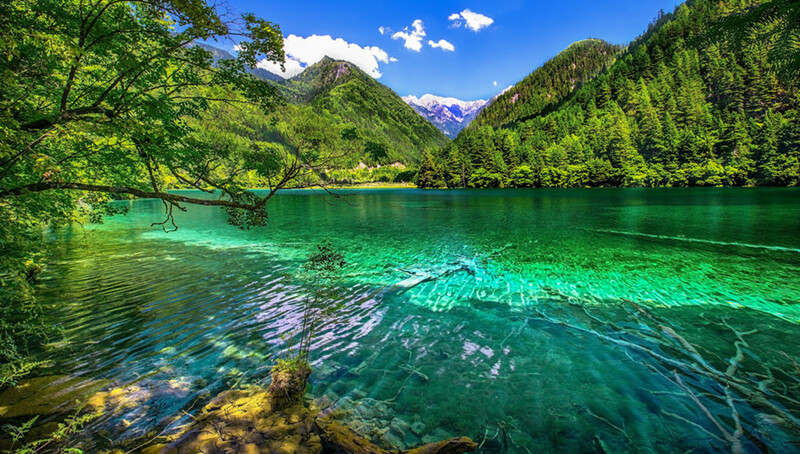 Natural Scenery: Jiuzhaigou is most famous for its blue, green and turquoise-colored lakes and waterfalls. It is reputed as a precious gem in northern Sichuan. Besides, there are some other charming scenery around the fairyland of Jiuzhaigou. Tibetan Culture: Located in the intersection of Tibet, Han, Qiang and Hui, Jiuzhaigou’s Tibetan culture is affected by many ethnic groups. For example, the construction of Tibetan village in Jiuzhai Valley is clearly different from the western Tibetan. Flora and Fauna: There are 2,822 plant species, 157 of which are national-level rare and endangered species; 42 species are national-level rare and endangered animals; 18 endemic species of birds and 25 endemic species of beast in China, including the giant pandas. Notice: On August 8, 2017, Jiuzhaigou was severely damaged by a strong earthquake. Since August 9, 2017, it was temporarily closed and estimated to reopen in 2020. We kindly remind you not to visit Jiuzhaigou during this period.